Gold and silver are very close to entering the mania phase of this bull market. In order for gold and silver to go into the mania phase, value has to be diverted from somewhere, and that “somewhere” is most likely stocks. Since 2000, there has been a correction in stock values, in real terms; however, nominally, stocks are still significantly high (close to its all-time highs). I expect that significant value will soon be diverted from the general stock market, to silver and gold, causing prices to rally significantly, until these metals also become overvalued. The top chart is for the S&P 500 and the bottom is for silver. I have drawn a yellow line, at the point where the S&P 500 peaked. It is only after the peak in the S&P 500 that silver broke out, and eventually rallied significantly (while the S&P 500 was crashing). From a “fractal” point of view, we are currently in a similar position, with stocks getting ready to peak. The top chart is for gold and the bottom one is for silver. 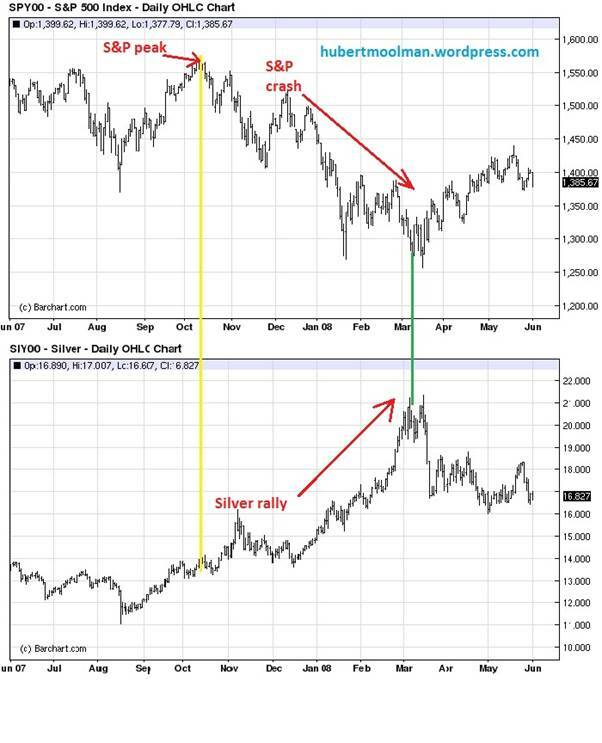 Gold and silver made similar patterns before and after reaching their respective 1980 highs. From the charts, you can see there is a similarity in how gold and silver approached their 1980 high. Both made a triangle-type pattern (green lines) just before it reached the 1980 all-time high. 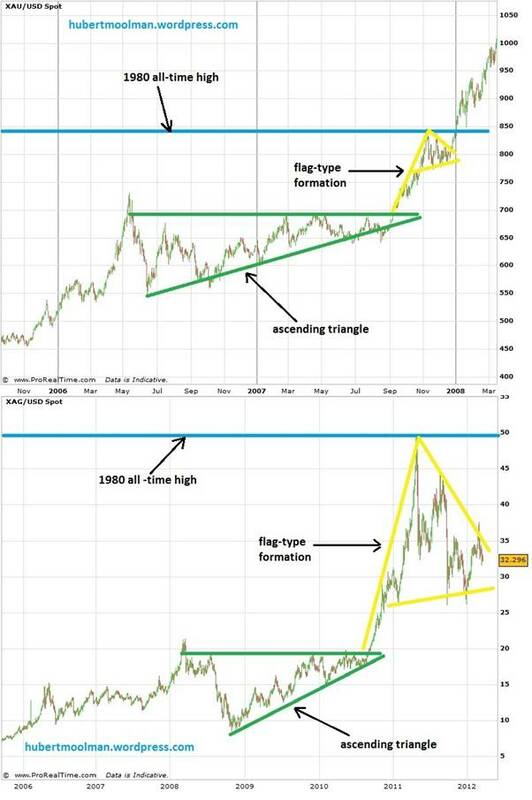 When it came out of that triangle pattern, it rallied strongly to the 1980 high, which started the formation of a flag-type pattern (yellow lines). Gold passed its 1980 all-time high during 2008, while silver is yet to do so. 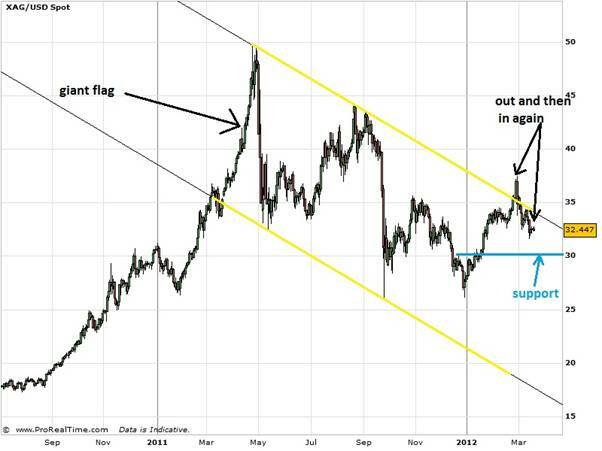 By looking at the pattern of how gold passed its 1980 high, we can predict how silver might do it as well. If silver continues to follow the pattern that gold formed, then we can expect a massive spike towards the $50 and beyond, very soon. Read my previous article for more about this comparison. For more of this kind of analysis, see my Long-term Silver Fractal Analysis Report , or subscribe to my premium service.